They say that imitation is the most sincere from of flattery. If that’s the case, then comic books love to flatter one another. From the beginning of superhero comics there have been copies of the most successful characters and their gimmicks. This applies not only to the characters, but also to the most visible part of the book–the covers. It is a common practice in the industry to pay homage to classic or favorite covers from other books. 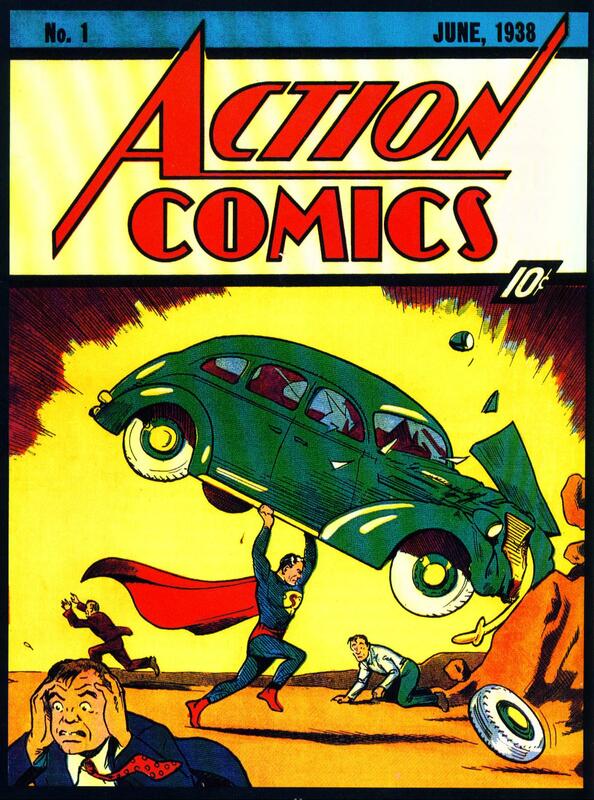 Of course what better place to begin than Action Comics #1. This particular issue is one of the most frequently parodied.